Dr Bruno Cohanier has just joined EADA’s Finance and Accounting Management Department. He has a wide range of experience in designing programmes in Management Accounting and Financial Accounting for business schools. In this interview, Dr Cohanier shares his views on performance management, the aligning of diverse resources, systems and employees to identify priorities and reach strategic objectives. Performance management is actually quite an ill-defined concept. Over the years, it has become so widely used and allegedly understood in many areas –not only in business– that people tend to think that coming up with a clear definition is no longer an issue. Webster’s suggests performance is “how well someone or something functions, works, (…) the manner in which something is accomplished”. This implies that performance management is the ongoing process through which managers ensure that employees’ activities and output are aligned with the organisation’s strategic objectives. This suggestion is surprising when we think about R.N. Anthony’s definition of management accounting from way back in 1965: “The process by which managers assure the resources are obtained and used effectively and efficiently in the accomplishment of the organization’s objectives”. So, performance management is not a new concept, but rather the semantic evolution of an activity, which is now at the crossroads of the different management functions of organisations. How important is it for managers to ensure that employees’ activities and output are aligned with the organisation’s strategic objectives? In a way, you are talking about aligning the organisation’s resources, systems and employees to strategic objectives and priorities, right? This term must be understood as a systemic concept: an organisation’s performance management is made up of subparts ultimately tied to individuals’ motivation to achieve a goal. When we talk about “aligning organization resources, systems and employees to strategic objectives and priorities” we are speaking about “how to make people do things”. This goes beyond process management and extends to human resources, marketing, operations, etc. What kind of results can an organisation expect from aligning output with strategic objectives? It is more a matter of how companies manage performance rather than getting results from it, as all companies at some point have to measure and manage performance. Some may conceive performance in a quantitative way, other from a more multidisciplinary perspective. Your area of specialization is performance measurement and management in an international setting. How would you describe this field of research? My research aims at studying to what extent the way management accounting exercised in different areas in the world is the same or is different. The intention of this research is not to identify the ways in which they differ, but rather to focus on differences in how they are designed and used: What kinds of managers uses what? Who is using what, why and for what purposes? The idea is to investigate whether large international companies’ practices have changed in the way textbooks have changed with regards to performance measurement and management, or whether cultural differences are still the driving factor behind these differences. Could you share with us best practice in performance management? Comparative performance measurement and management helps make managers and future managers (i.e., students) understand that there is no one best way to reach an objective and that cross-disciplinary perspectives on performance goal setting, together with assessment, are extremely important. Knowing this and applying it is the first step to creating managers that are willing to walk the extra-mile, leaving “average” managers behind. You’ve just joined EADA’s Finance and Accounting Management Department. What are your main goals? How do you hope to apply your research in class? My goal in joining the Finance and Accounting Management team at EADA is to contribute to the knowledge already being produced in the school and disseminate it among future and current managers. It makes sense to apply research outcomes in class. For example, in a performance management course in which students are exposed to a transdisciplinary perspective of the subject, I point out what kind of measures and management techniques are developed, applied (or not), in what context and to what end. In 2004, you published, “Qualitative Research in Accounting and Management”. What were the main conclusions? It aimed to emphasise the importance of qualitative research, especially case studies, in the understanding of the way large multinational companies operate. In this specific case, the idea was to focus on the use of qualitative research methods to gain a better understanding of the performance management system (PMS) of one of the largest retailers in North America. The analysis suggested that financial performance measures remain dominant and that although non-financial performance measures are used, these are often de-coupled from the key performance measures at the highest levels of management. In response to these pressures, companies appear to develop non-financial performance measures to appear legitimate in the eyes of wider stakeholder groups. What are the most important skills for Accounting Managers and CFOs? I try to emphasie that companies are seeking capable managers able to evolve towards higher management positions, whatever your area of specialisation. In short, to become a CFO, you need to prove you are a capable, cross-disciplinary manager: an impeccable specialist who can walk the extra mile that will demonstrate that you are top management material. 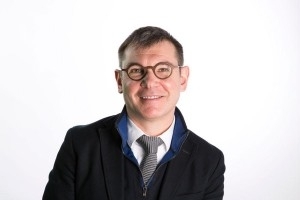 Dr Bruno Cohanier holds a Ph.D. in Accounting from Aston Business School and a Master’s Degree in Accounting, Administration and Finance from the CPA Ecole Supérieure de Commerce et d’Administration des Entreprises (E.S.C.A.E.). His research interests include Accounting, Management Accounting, behavioral accounting and CSR.